I posted this up here on a Monday in the hopes it brings a smile to your face since Mondays are rough for lots of people. 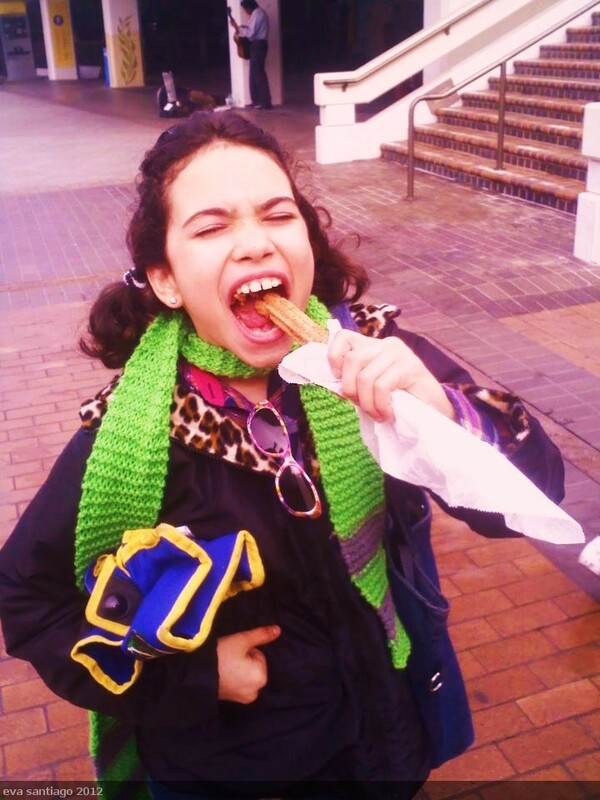 This child LOVES her churros. The best ones are the ones that every bite you take, melts in your mouth and they are nice and warm, just fresh out of the churro maker. The worst churros are cold ones that have set on a shelf all day and they’ve been marked down You’re better off eating some card board with cinnamon and sugar sprinkled on top. The little person in this picture claims that churros are cinnamon rolls in stick form. Do you agree or disagree? Get back with me on this poll and I’ll pass on the results to her. Have a GREAT Monday!!! This is my little sister. 🙂 She is so hilarious!